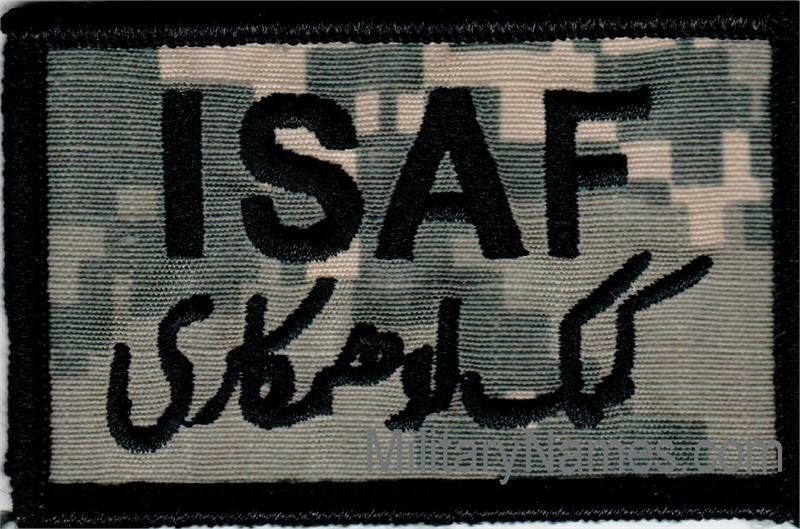 ACU UCP Patches ISAF with Arabic Military Name Tapes & Rank Insignia. Leather Flight Badges for all Branches of Service. 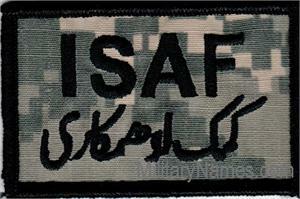 ISAF ACU Patches with Arabic. These come with the Male or Hook side of the Hook Fastener Sewn on the back of them.